1. 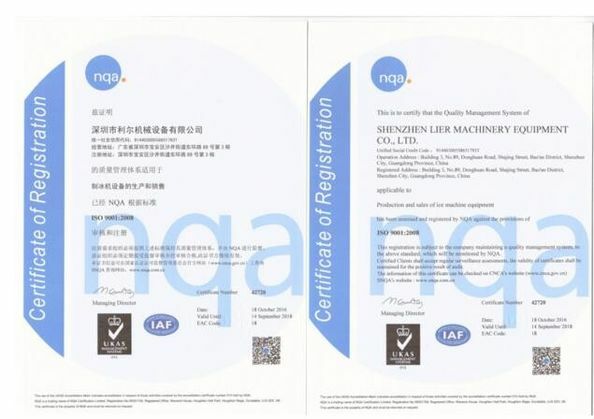 Refrigerating unit -- Main parts of refrigerating units are all from America, Germany, Japan and other countries that have leading refrigeration technology. 2. PLC programmable control system -- The machine can start and stop automatically to make the evaporator mechanical operation system and water suppling circulation system coordination matched and work safely & efficiently under the control of PLC controller. 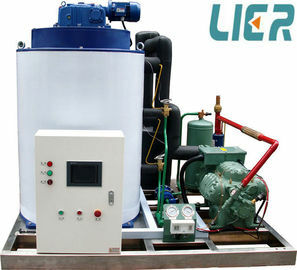 The whole system is protected by the alarm of water shortage, ice full, high and low pressure abnormal, power phase inverse and compressor overload, etc.with the computer intelligence control. 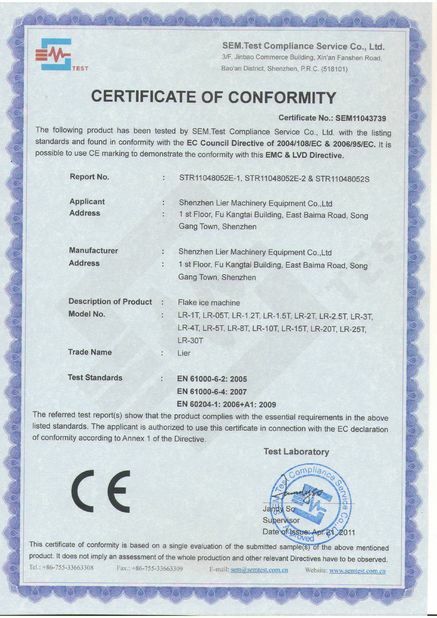 When there is a failure, the PLC will stop the unit automatically and the corresponding alarming indicator lights up. And when the fault is settled, PLC controller will soon start the machine after receiving the information. 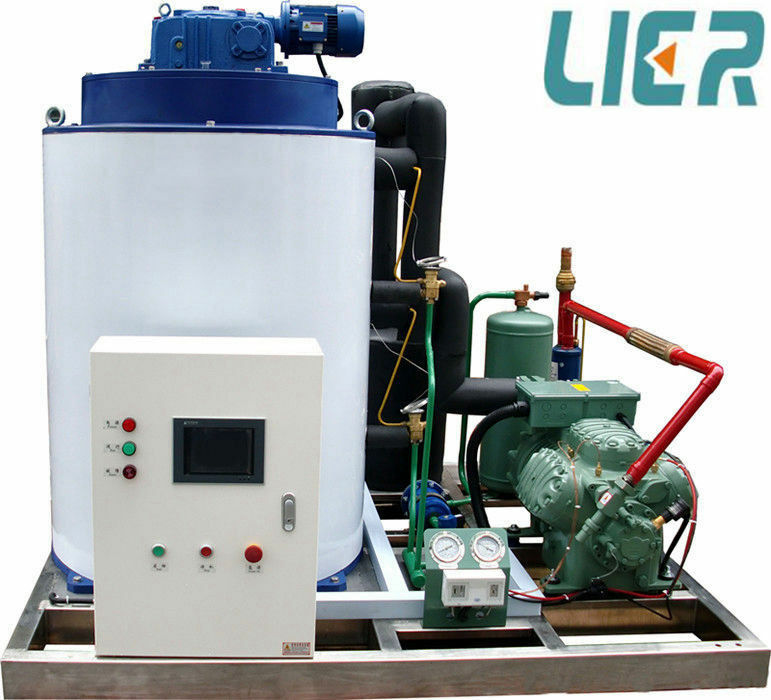 The whole system is controlled automatically well without hand operation. 3. 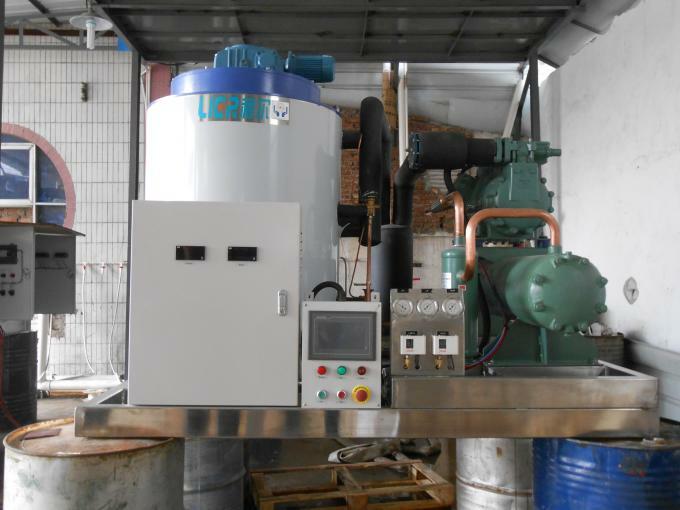 Evaporator--Ice machine evaporator adopts the fixed static vertical design, namely the evaporator is static and the ice blade rotate in the inner wall to scrape ice. The design reduces the wear, has high sealing and avoids the leakage of the refrigerant effectively. It is made of SUS304 material and adopts automatic fluorine welding technology to improve its intensity and accuracy. 4. Ice blade--Spiral ice blade, small resistance, low loss, no noise and making ice in uniform. • Fishing industry: cooling during transportation, storage and sale. • Hospitals: cryotherapy, cold packaging. 3. American Expansion valve: (1)Reduce the high pressure and throttle the cold liquid refrigerant from the side with high pressure, Making it a low temperature low pressure gas-liquid mixing refrigerants; (2) Control the refrigerant flow into the evaporator to adjust cooling capacity of the system and adapt to the change of external load. 4. Schneider AC relay, etc.